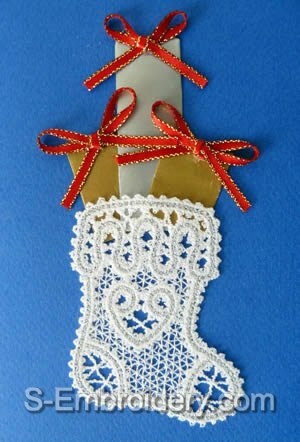 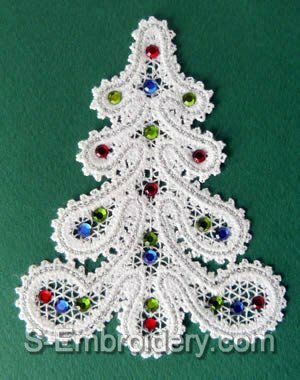 A set of 7 Battenberg Lace Christmas ornaments. 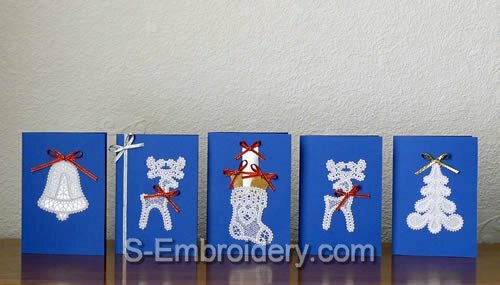 Each design is available in 2 versions - one for decorating your custom-made greeting cards and one with a loop for hanging on the Christmas tree. 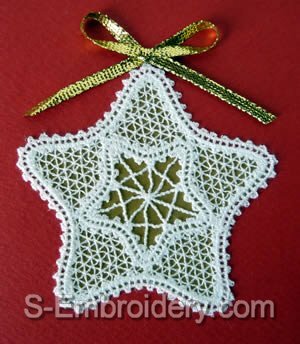 Each design version is offered with 2 or 1 color. 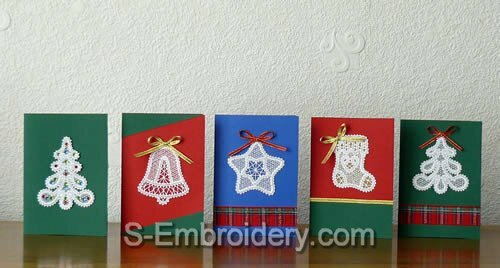 You receive 28 machine embroidery files and 2 PDF files with design information and ideas on using them for decorating custom-made Christmas greeting cards. 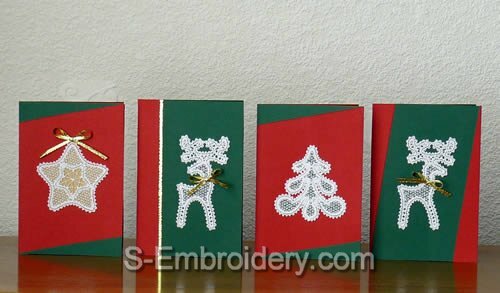 For detailed images, please scroll down this page. 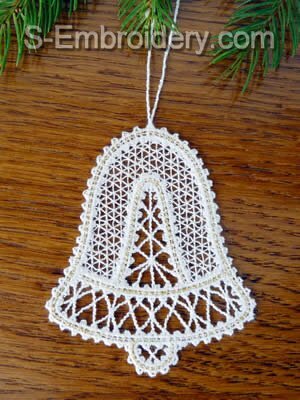 Note: 8 of the Christmas tree ornaments (the designs with loops) will NOT fit in 4x4 hoops. 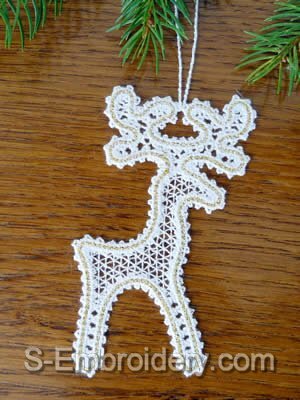 Note: This version will NOT fit in 4x4 hoops.